Louisville Furnace Repair | VANKLEEF HEATING AND AIR CONDITIONING , INC.
Jeffersonville, Louisville and surrounding areas Heating News: A.F.U.E. vs. S.E.E.R. There are two terminologies used S.E.E.R. (seasonal energy efficiency ratio) and A.F.U.E. (annual fuel utilization efficiency)? 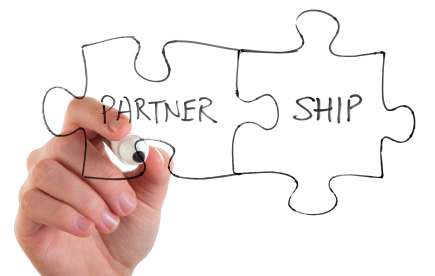 Why are both important to understand and how do they complement each other? AFUE measures how much heat is actually making it into your home verses how much fuel or energy is required to produce that heat. What you are left with is a percentage that represents your AFUE. For example if your AFUE rating is 70%, that means 70% of the heat produced is making it into the home while 30% is escaping out the chimney or flew. The minimum in Indiana minimum is 90% while in Kentucky is 80%. SEER reflects, much in the same way as AFUE, the amount of cooling delivered to the home verses cooling loss. The current minimum SEER rating is 14. There are products with SEER ratings in the 20s now. When thinking about changing out your heating and cooling system, you want to consider both the SEER and AFUE ratings of new equipment. You may review our page that assists in helping to decide to Repair or Replace that helps you determine what to do with your HVAC. This is a great tool to help you decide whether you should invest in repairs for your older HVAC system or should you replace it with higher efficiency products. The more knowledge you have about the actual savings you will get from newer, high efficiency products, the better. The decision is made simple when you can calculate your savings verses up front costs. If you have your heating and cooling costs for the last year or two it will be a huge advantage in calculating and knowing exactly what your short-term expense and long-term savings will be. You want your SEER and AFUE to be as high as possible and at a price point that makes sense for you. As October approaches there will be many furnaces needing repair. If you can arm yourself with good information now you will be prepared to make a wise decision this fall. Now you can tell your friends what AFUE and SEER mean and why they are important. It can save you money when you choose the right products. Think of it like a relay. One runner hands the baton off to the other and together they finish the race. Although there are huge expectations of the first runner to come out of the gate on fire, all the runners are important. That’s basically the role you play with your heating and cooling professionals. When you hire a professional to service your heating and cooling system, safety is the most important benefit you receive when a certified technician takes over. However, as a homeowner, your responsibilities to maintain your system will boost the results of a professional service. 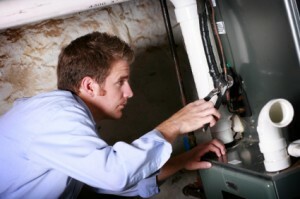 Servicing your furnace this winter is extremely important. Without regular maintenance your heating components wear out sooner which leads to breakdowns or even system failure. This can be avoided with regular tune-ups. When you schedule your next tune-up here are several things to make sure your technician evaluates. If any of these areas get neglected, you risk system failure or even break down. The big difference is, with a cooling system the air just doesn’t cool. With a heating system or furnace, even if it is broken, it can continue to produce heat, even if the heat exchange is cracked or the flue is broken, still allowing deadly carbon monoxide fumes to enter your home. Keeping the proper relay team in place working together, you can be very confident in extending the life of your heating and cooling system, achieving peak comfort and ensuring safe operation of your furnace this winter.